Women 1.0 at conferences turned out to be a little too unassuming. Efforts to improve gender equity in science often focus on countering discrimination against women. This is clearly a justifiable approach because such discrimination remains a very tangible issue (e.g., Moss-Racusin et al, 2012). However, increasing evidence suggests that differences in the behavior of women and men may also contribute to gender disparities: women tend to publish less, use more tentative language, and ask for less in job negotiations than men. It also seems that women and men may have different approaches when it comes to formally presenting their work at conferences and this might have serious consequences for their visibility in their respective communities. This article by Kerry Fanson, Therésa Jones, Matthew Symonds and Megan Higgie originally appeared on the LSE Impact of Social Sciences blog as “Striving for gender equity in science: Conference participation behaviour contributes to gender disparity in academia” and is reposted under the Creative Commons license (CC BY 3.0). In our recent study, we compared gender differences in visibility at an evolutionary biology conference. Participants could request either a long talk (12 minutes) or short talk (five minutes). Despite having a nearly equal ratio of women and men attendees, we found that women spoke for ~20 percent less time than men of an equivalent academic level. Furthermore, this difference was not because men were more likely to present, but because men were nearly three times more likely than women to opt for a long talk. What was most interesting was that this pattern was true for both academics and students. Our observations are broadly in line with other studies on gender disparity in conferences (e.g., Isbell et al 2012, Schroeder et al 2013). In each of these examples, the end result was that women gained less exposure within their respective academic communities compared to men. This piece is based on findings from the paper Gender differences in conference presentations: a consequence of self-selection? published by PeerJ. The question is, does this matter? We advocate strongly that it does, because the impact of a conference has the capacity to stretch far beyond the time spent in front of the audience. There are many steps that can be taken to mitigate gender disparity at conferences. A recent paper by Jennifer Martin provides a comprehensive list of “10 simple rules to achieve conference speaker gender balance” and we wholeheartedly support each of them. 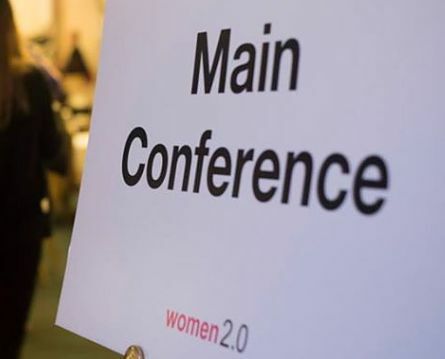 These are aimed mainly at conference organizers, but two suggestions in particular have the potential to encourage attendance by women – Rule 8: Support women at meetings through the provision of childcare facilities and Rule 9: Be family friendly by offering a family room and ensuring that the, all-important, social calendar is appropriate. While undisputed, these do not answer why women, when provided with a free choice, would opt for a presentation option that may be disadvantageous. Even though the majority of women chose to present a long talk, it is still concerning that women were almost three times more likely than men to request a short talk. In conjunction with other behavioral differences described above, these factors may interact to disadvantage women in the academic work place. Gender differences are driven by a complex interplay between genetic, physiological, and social factors. We are not advocating that women need to override all of these factors in an effort to be more like men. However, both women and men should be more aware of these behavioral differences and understand how they contribute to gender discrepancies in academia. This knowledge will allow individuals to make more informed decisions, even about seemingly subtle details such as whether you request a short or long conference presentation. Education of both males and females at student and academic levels about strategies they can use to ensure their success (other than the standard “publish, publish, publish”). Mentoring is critical for transmitting information about behavioral and decision-making strategies that can shape your career. As our study indicates, this is required at all stages of an individual’s career and we strongly suggest it should target both men and women. An awareness of what constitutes gender discrimination, appreciating the role that subconscious bias may play, and understanding the implications for gender differences in behavior are equally important for both sexes. Successful women often play an important role in mentoring women students because they have learned from personal experience which strategies work for them as a woman in academia. However, that does not undermine the role or the responsibility that men have to consider the role of gender in their mentoring. Due to the gender inequity in science, the majority of senior science academics are men and therefore science students are more likely to have a man as their academic mentor. Mentors need to be aware of gender-based differences in their proteges – are they encouraging female students to attain the same visibility as male students, submit to the same caliber of journals, network with potential collaborators to the same extent? An important question is whether the same behavioral strategies work equally well for men and women. Studies on job negotiation strategies have shown that if women use the same negotiation tactics as men, then they are perceived as pushy or bossy, which puts them at a disadvantage. Therefore, future research needs to encompass how individual behavior as well as perceptions of that behavior can interact to contribute to career success. This will require creative approaches as well as creative solutions for understanding how to even out the playing field for men and women in academia. This entry was posted in Career, International Debate, Research and tagged Academic Conferences, Gender Gap. Bookmark the permalink. Post a comment or leave a trackback: Trackback URL. Interesting that one of the most important factors is almost an aside-that the behaviors that are successful for men aren’t for women. And this factor than calls into question the title “Women’s Own Behavior Boosts Gender Disparity in Academia” and associated assumptions. If women are essentially punished for exhibiting the behaviors that lead to success for male, how can you suggest that it is the women whose behavior boosts disparity. Rather, the women are in a double bind-not experiencing a double standard. And a double bind preclude success regardless of the women’s own behavior.